Here at ConnectWise, we’ve spent a lot of time talking to our customers. Whether it’s through consulting, support, forums, or at our events, we’ve learned a lot from these conversations. One of the biggest things we’ve learned from our hard-working customers is how important a role process plays in running your help desk at peak efficiency. Your help desk is step one for customers looking for answers to their immediate questions. When you provide the help they need, and you do so quickly, you solidify your place as their go-to expert for technology services support. So what does all of this mean for the management of your help desk? You need to be sure you’ve got a plan in place for making sure this vital point of contact can address those incoming issues without delay. Even your most relaxed customers aren’t going to stay calm if their needs aren’t being met, so rely on our Help Desk Management to make sure that doesn’t happen. The keys to perfecting your help desk begin with these five rules for true efficiency. Tickets are the gatekeeper to all of your most important data, so this is by far the most important rule. 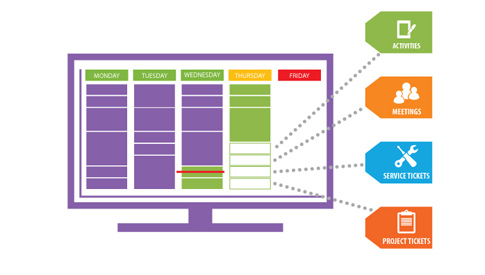 Every incident and request should be logged to capture all work performed, whether it’s big or small, urgent or routine. 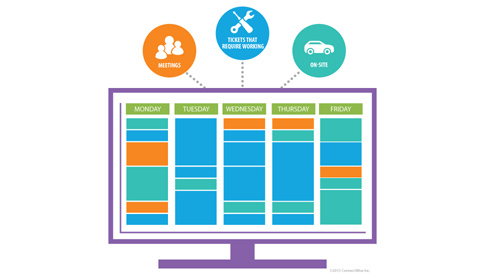 Regardless of whether its requests, incidents, problems, events, or change management, it happens in a ticket. 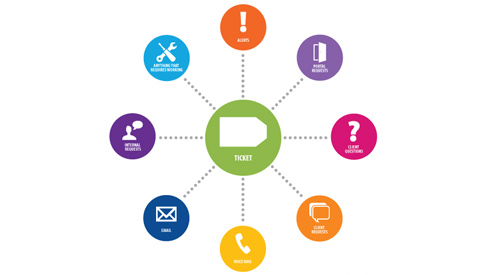 Internal requests, alerts, emails, phone calls, portal requests…all go in a ticket. When you make it a habit, you know your records are accurate, up-to-date, and ready to help you serve your customers better. Your customers don’t want to be left in the dark when it comes to the status of their requests. Take advantage of Closed Loop to make sure you maintain an open line of communication at all times. Provide regular progress and status updates, and your customers will feel invested in the work you’re doing on their behalf. Rome’s ancient road systems are still considered a marvel of engineering. Like spokes of a wheel, every road led to Rome. Your service boards are the spokes that lead to the center of your organization. When your help desk is set up for efficiency, everything ends up as a service ticket on your service boards, which triggers the workflows that ensure the right next steps happen quickly. Remember all those tickets we talked about in the first rule? Here’s where that process pays off. Now you’ve set up your tickets, established open communication about progress, and routed everything to your service boards. It’s time to make sure those boards are properly managed, and that you’re living by them. Rely on dispatchers to fill your engineers’ calendars with necessary tasks and activities. By planning ahead and managing their time efficiently, you’ll get a better ROI from your help desk by producing stellar results in less time. No one wastes time wondering what to do next. Every time an employee works on a ticket, the time should be entered right away, every time. Getting your help desk staff into the habit of constantly tracking their time as they use it means more accurate time tracking, more billable hours, and a better sense of how time is spent. 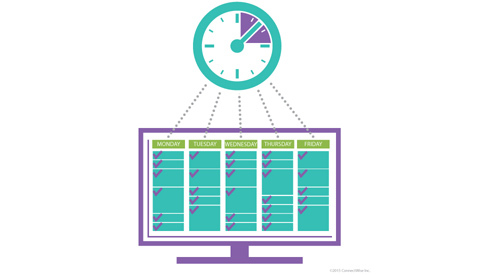 With hyper-accurate time tracking, you’ll spot inefficiencies faster. Streamlining your help desk guarantees consistent service levels, calms the chaos of a busy support center, and helps you establish the processes you need to take your business to the next level. Get more from your help desk today. 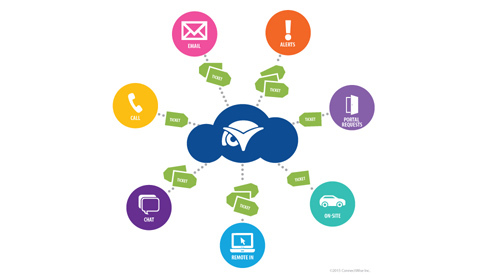 Take your help desk from chaos to control with these best practices.